Civil engineers prepare permit documents for work on projects in renewable energy. They verify that the projects will comply with federal, state, and local requirements. With regard to solar energy, these engineers conduct structural analyses for large-scale photovoltaic projects. They also evaluate the ability of solar array support structures and buildings to tolerate stresses from wind, seismic activity, and other sources. For large-scale wind projects, civil engineers often prepare roadbeds to handle large trucks that haul in the turbines. In addition, they prepare the sites on the shore or offshore to make sure that the foundations for the turbines will safely keep them upright in expected environmental conditions. Only licensed civil engineers can sign the design documents for infrastructure projects. This requirement makes it imperative that civil engineers be able to monitor and evaluate the work at the jobsite as a project progresses. That way, they can ensure compliance with the design documents. Civil engineers also often manage several projects at the same time, and thus must be able to balance time needs and to effectively allocate resources. 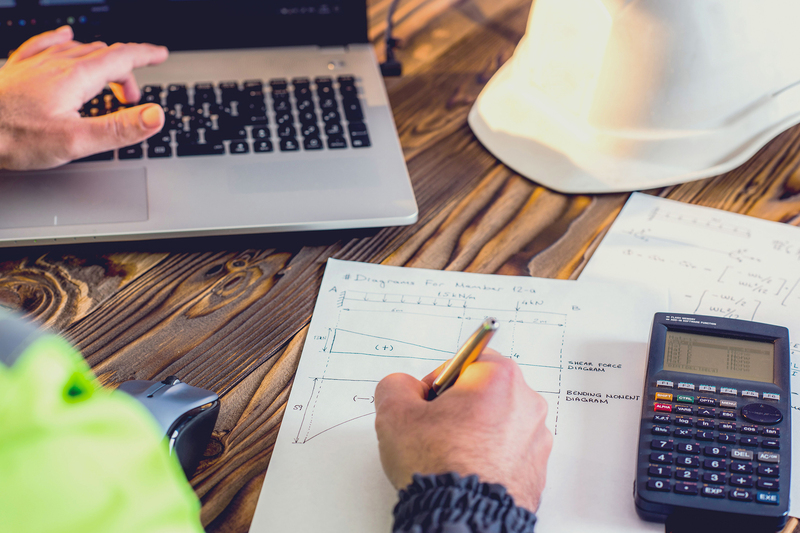 Civil engineers often balance multiple and frequently conflicting objectives, such as determining the feasibility of plans with regard to financial costs and safety concerns. Urban and regional planners often look to civil engineers for advice on these issues. Civil engineers must be able to make good decisions based on best practices, their own technical knowledge, and their own experience. Civil engineers work at the highest level of the planning, design, construction, and operation of multifaceted projects or research. The many variables involved require that they possess the ability to identify and evaluate complex problems. They must be able to then utilize their skill and training to develop cost-effective, safe, and efficient solutions. Civil engineers take ultimate responsibility for the projects that they manage or research that they perform. Therefore, they must be able to lead planners, surveyors, construction managers, civil engineering technicians, civil engineering technologists, and others in implementing their project plan. Civil engineers must present reports and plans to audiences of people with a wide range of backgrounds and technical knowledge. This requires the ability to speak clearly and to converse with people in various settings, and to translate engineering and scientific information into easy to understand concepts. Civil engineers use the principles of calculus, trigonometry, and other advanced topics in mathematics for analysis, design, and troubleshooting in their work. Civil engineers must be able to communicate with others, such as architects, landscape architects, and urban and regional planners. They also must be able to explain projects to elected officials and citizens. This means that civil engineers must be able to write reports that are clear, concise, and understandable to those with little or no technical or scientific background.